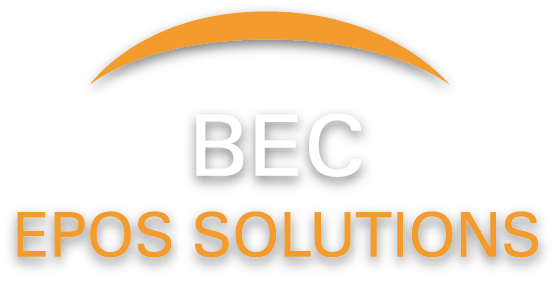 BEC Takeaway Epos - BEC Sheffield Cash Registers Epos & till roll sales. How Takeaway EPOS works ? At BEC Takeaway EPOS we give your restaurant business a powerful online presence to increase your sales with online ordering through mobile, online and social platforms. Move ahead of the curve with our simple but affordable restaurant online ordering system and as a result let your profits do the talking. Open up avenues for online sales with our custom branded IOS and Android mobile apps that enable your customers to place their orders on the go. From making reservations to placing an order, Takeaway EPOS mobile ordering app ensures that your customers can gain online access to your restaurant any time and anywhere. Boost your sales by providing your customers the convenience of online ordering through your Takeaway EPOS website. Our online ordering system can be integrated with your website, if you have one or we can help create a professional and user-friendly website that is custom-designed for your restaurant. With our user-friendly Takeaway EPOS interface, online ordering has never been quicker and easier. Get ready to monetize your business through your Facebook pages with our integrated Takeaway EPOS ordering system and enhance your online presence by reaching out to more customers quickly and effortlessly. Enhance the operational efficiencies of your business with our simple-to-use management console. It can help you manage every aspect of your business – from managing your restaurant accounts, menu and prices to tracking, reporting, inventory, labor costs, etc. – all with a few clicks of a button. We set up and get your online ordering system up and running in no time. We implement your own mobile app and customize it to be in sync with your business brand. Fully responsive and user-friendly interfaces provide customers with great online ordering experience through your website and help generate sales. Receive feedbacks from customers after they order and improve your service performance to keep customers coming back. You do not have to pay any commission on the orders your restaurant receives. Our fixed pricing ensures that the money you make through online sales is 100% yours. Gain access to sales reports and charts in real-time and take action. Our easy to use email marketing tool will help to reach out to customers wherever they are and keep them informed about upcoming promotions, events and offers. Fully automated with PCI compliant payment gateway for secure payment processing of all online transactions. Our support team is ready 24/7 to help you out should the need arise.